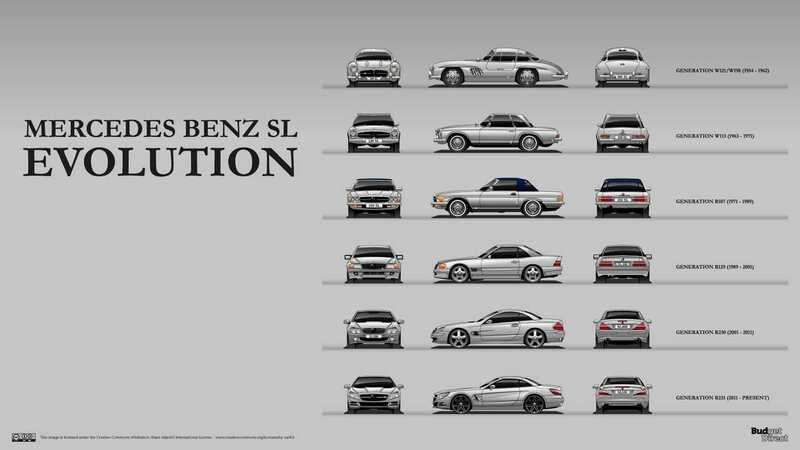 The SL legacy began with the W198 300 SL and W121 190 SL. The 300 is usually the car that garners all the attention, and for good reason. 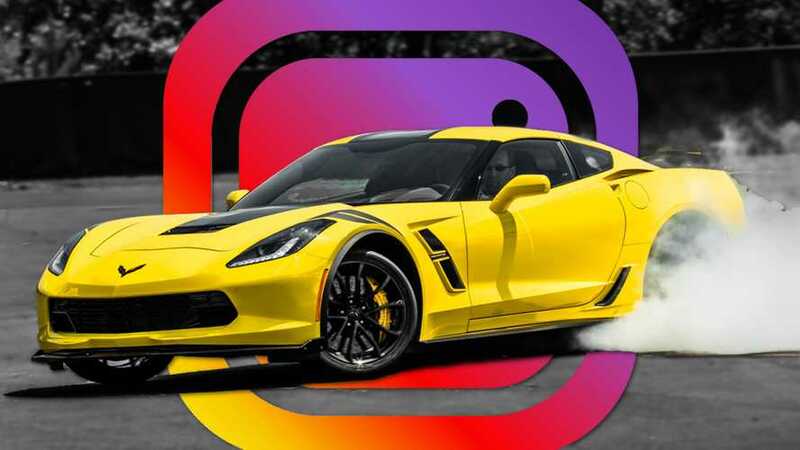 When it debuted in 1954 not only did it have “wings” for doors, it was the fastest production car in the world with a top speed of 160 mph – a mark that still is by no means slow today. Just over 3,200 were built, making the 300 exceedingly rare and exceptionally valuable. 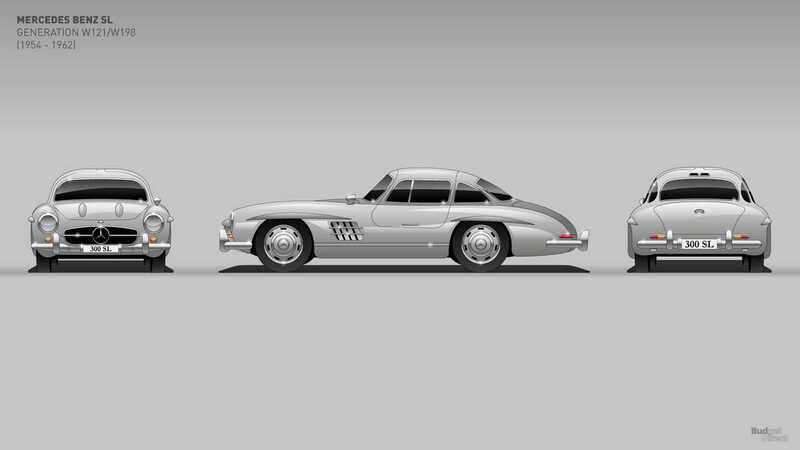 The 190SL had the 300’s good looks, but traded the fire-breathing six-cylinder and gullwing doors for modest four-cylinder power and a roadster layout. Far more 190s were produced as well – nearly 26,000 – but it’s still a valuable, sought-after piece of Mercedes history. 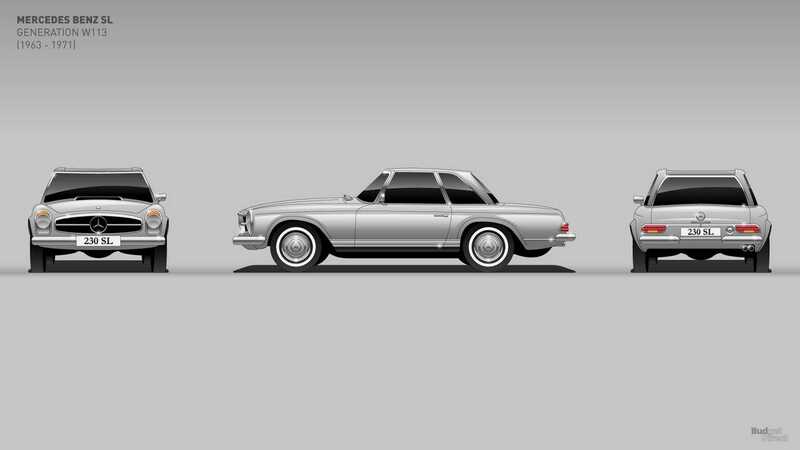 Following the 300SL wouldn’t be easy, which could be why Mercedes steered the second-gen W113 model in a slightly different direction. The SL remained a small, elegant sports car, but the 300 and 190 from the first-generation were essentially combined to create a reasonably powerful coupe and roadster that was more available to the masses. Starting with the 230 SL and culminating in the 280 SL in later years, these short-wheelbase cars with wide haunches were among the best handling cars of the 1960s. A small-displacement inline six that eventually grew to 2.8 litres didn’t scorch the road like the 300 did, but it provided up to 168 horsepower in a package weighing approximately 1.3 tonnes. Ah yes, the R107. Not only is this generation the undisputed king of the SL Class for longevity, but it’s also the second-longest single-generation production run in all of Mercedes' history - behind the equally famous G-Class. Through its 18 years, the R107 SL saw numerous changes and firsts for the mark, including the introduction of a V8 engine that started at 3.5 litres in size and evolved to 5.6 litres. The whole car grew in fact, eventually tipping the scales at just under 1.6 tonnes. Still, the sports car remained a delight despite the extra size and weight, and many still regard it as one of the most attractive SL generations of them all. 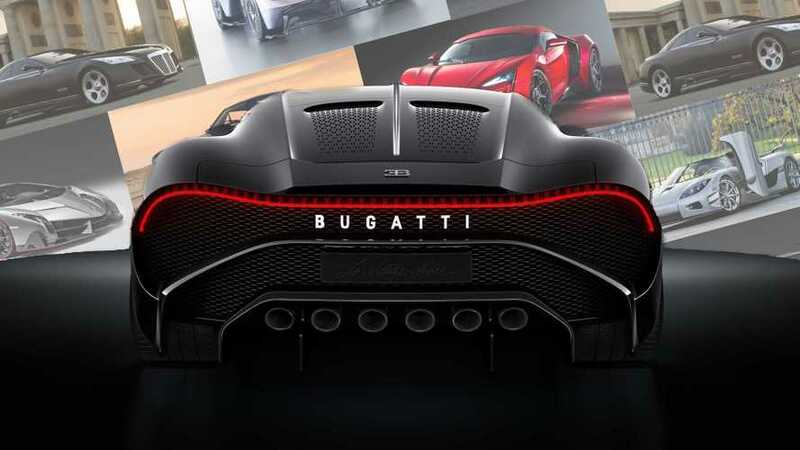 It wasn’t a slouch either, with upwards of 240 horsepower ultimately available from its optional 5-litre V8 engine. After nearly 20 years of limited growth, Mercedes fans were ready for something new in an SL suit and boy, did Mercedes deliver. The R129 did away with the softer, rounded styling that had punctuated the lineup, and though the car didn’t grow significantly, it finally gained a fuller, modern look. 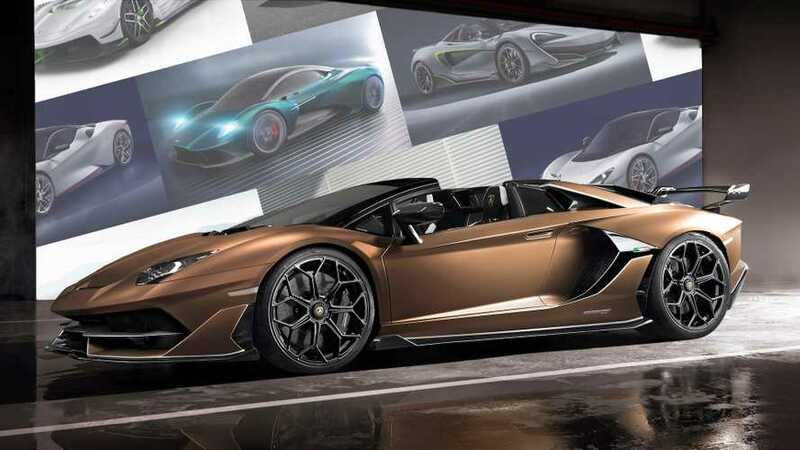 It also gained all kinds of technology such as rain-sensing wipers, LCD screen for the climate control, and active dampers for the suspension – items that wouldn’t appear on many other cars until many years later. Another major change came with the fourth-generation SL, however. Whereas the car had a reputation as a definitive luxury sports car, the R129 took the first steps into the supercar realm thanks to V12 engine options and tweaking from AMG, which officially became part of Mercedes in 1999. 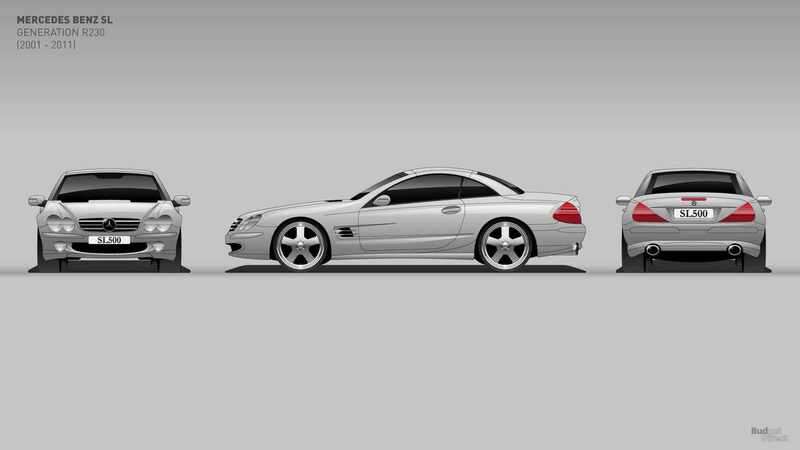 Cars like the SL 55 AMG offered 349 horsepower and performance to rival many Italian exotics. With AMG fully embedded into Mercedes-Benz, the automaker began turning out the fastest SL-Class cars in the history of the moniker. 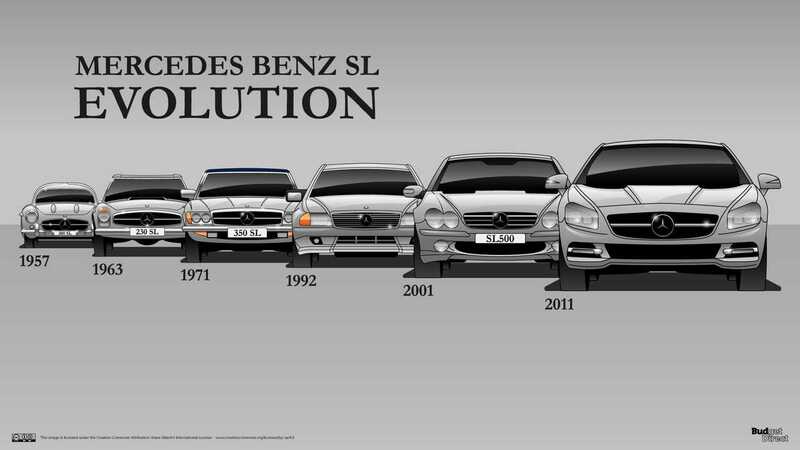 To cope with the added power, the SL became longer and wider than ever, and models were packed with technology. Numerous special-edition variants in addition to the standard range of cars made the coupe quite exclusive, while keeping the SL experience within relative reach of buyers at the lower trim levels. At the other end of the SL spectrum was AMG, and the fifth-generation saw the sports car get absolutely crazy. Brandishing a twin-turbo V12, the SL 65 AMG Black Series would ultimately deliver 661 horsepower – enough to send the car to 60 mph in well under four seconds, provided there was traction. There’s no denying the SL has gained significant horsepower and impressive technology through the years, but that evolution didn’t come without a price – literally and figuratively. A new AMG SL 63 has a starting cost of £116,260 and can tip the scales at over 1,800 kg. 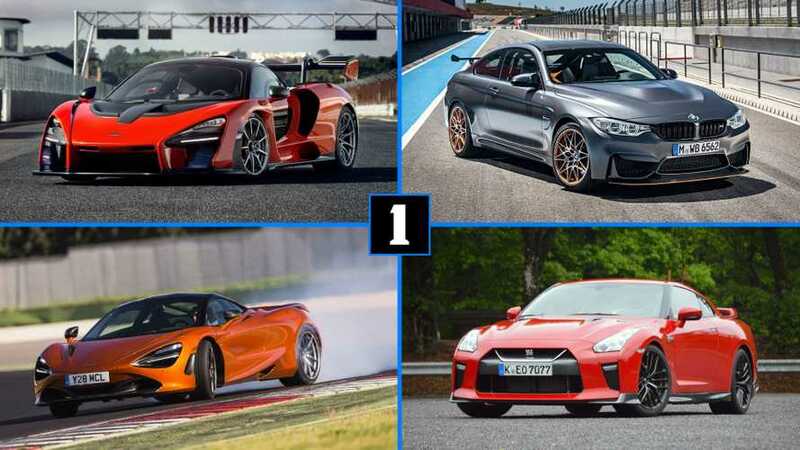 It’s not the lightweight sports car it once was, but that doesn’t mean it’s less capable. The technology that adds weight also commands the active suspension to deliver a firm, planted ride when you want it and softer accommodations for touring. Suave accommodations are as luxurious as ever. And with the AMG SL 63 offering 577 horsepower, neck-snapping acceleration is available at the twitch of your foot. Honestly, we can’t wait to see what Mercedes has in store for the next-generation. The next-generation SL-Class is expected to drop in 2020, and if current rumours are accurate, it could take the car in yet another new direction with a hybrid powertrain producing 800 horsepower or more. With 64 years down and no end in sight, the SL and its AMG variants are among the hottest cars you buy today when it comes to personal luxury and sizzling performance. The iconic German sports car is still going strong after 64 years. 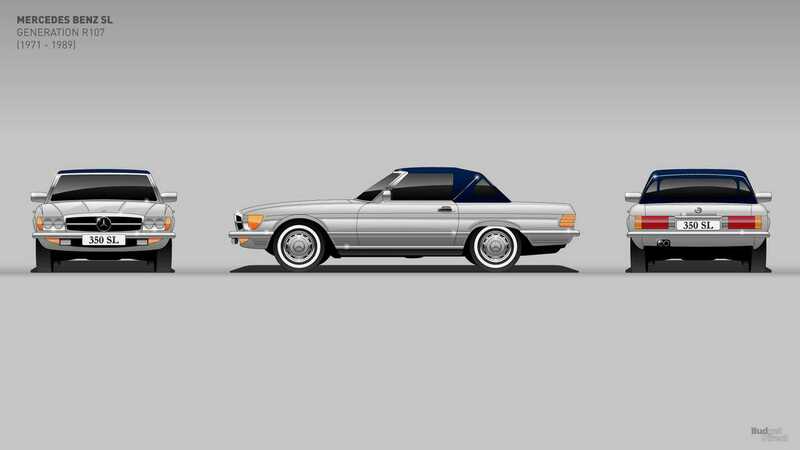 There aren’t many cars on the road today with a direct lineage stretching back over 60 years, but the Mercedes-Benz SL-Class is one of them. The 300 SL Gullwing appeared in 1954 with its infamous doors and exceptional 3.0-litre inline six-cylinder engine, and to say it garnered the attention of pretty much everyone with an automotive pulse is a tremendous understatement. 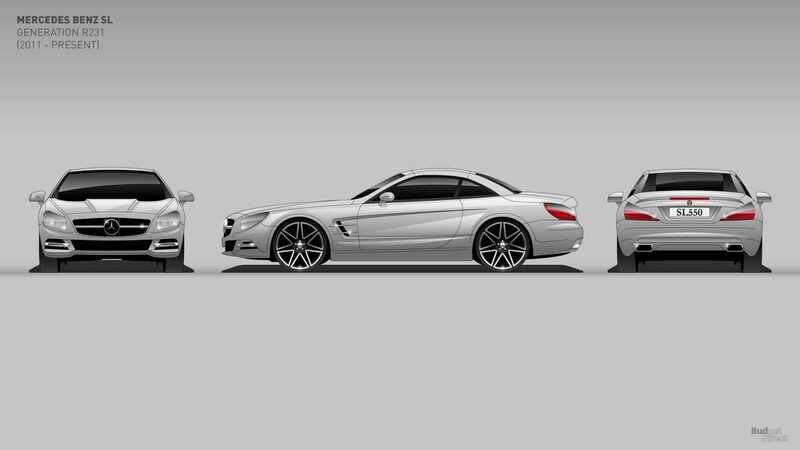 64 years later, the SL is as exciting as ever with nearly 600 horsepower available in top-dog AMG trim. Perhaps even more impressive, however, is that in all those decades, there’s never been a bad generation. 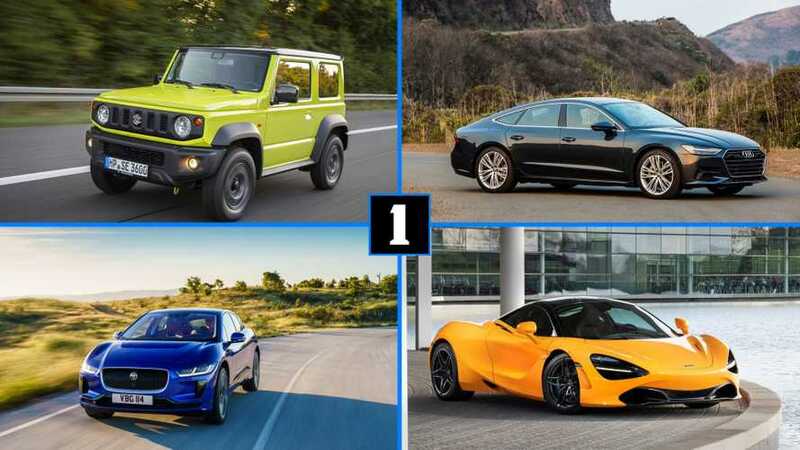 Actually, there’s never even been a forgettable one, and that includes the 1970s when all cars came under attack for emissions and fuel economy requirements. 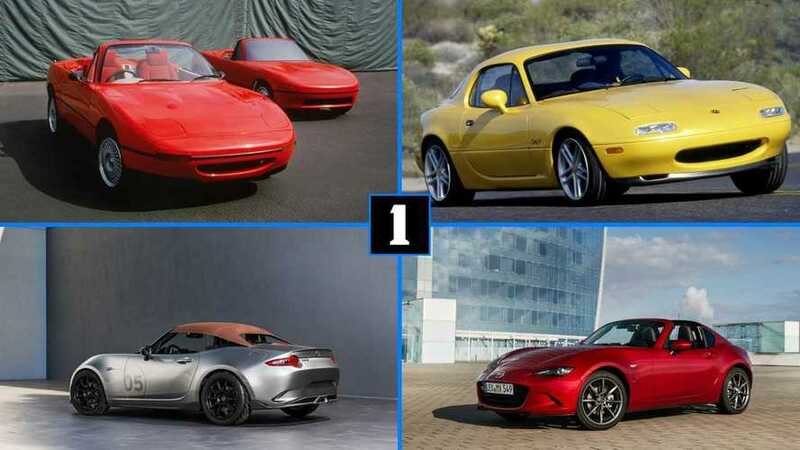 Thanks to BudgetDirect, all iterations of this classic German sports car are offered here in a convenient slideshow. 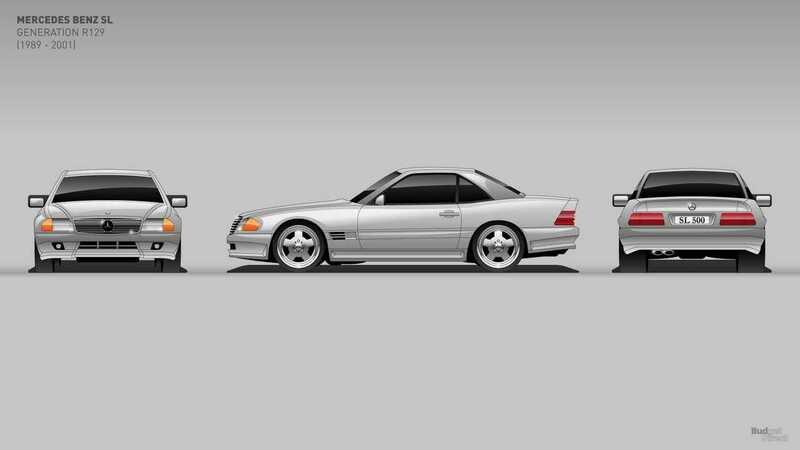 It’s quite fascinating to see how the SL has evolved through the years, so join us for this brief trip through Mercedes history.